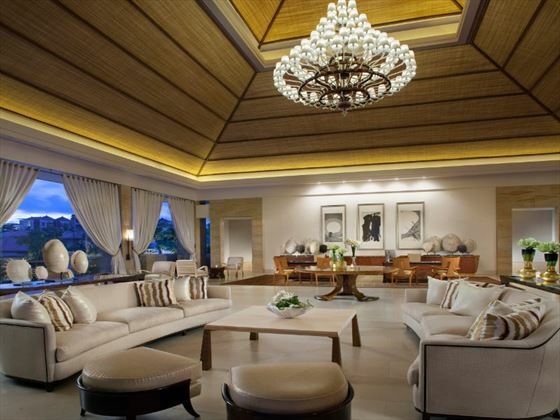 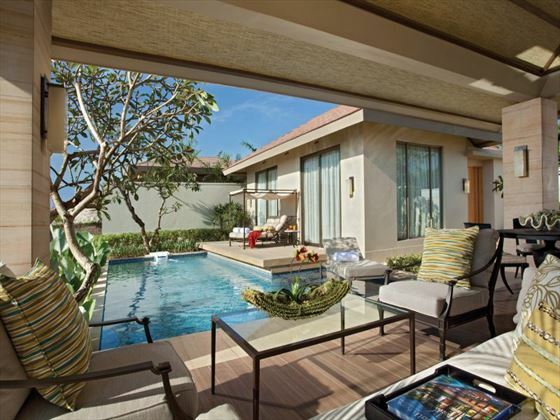 Mulia Villas are nestled on the gentle hills of Nusa Dua, Southern Bali, just above the magnificent white sands of Geger beach and overlooking the Indian Ocean; consisting of stunning pool villas inspired by the terraced Balinese rice paddy fields and enjoying a peaceful tranquil location. 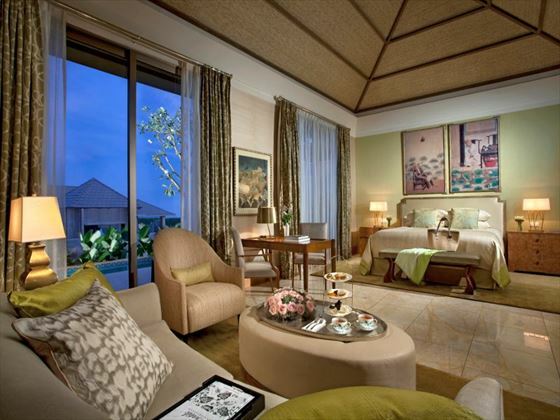 Enjoying all the benefits of the Mulia Resort located next door and on the beach, Mulia Villas offer another level of seclusion, luxury and privacy for a vacation where you can really relax and unwind. 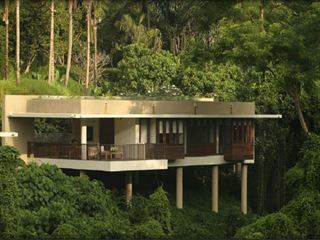 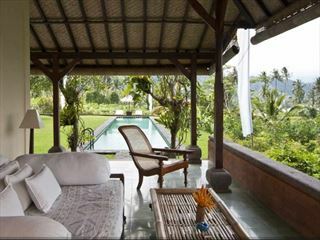 “We love the unique outdoor pavilions in the villas, adopted from the design of traditional Balinese homes and providing a furnished outdoor living space with hydrotherapy swimming pool and garden. 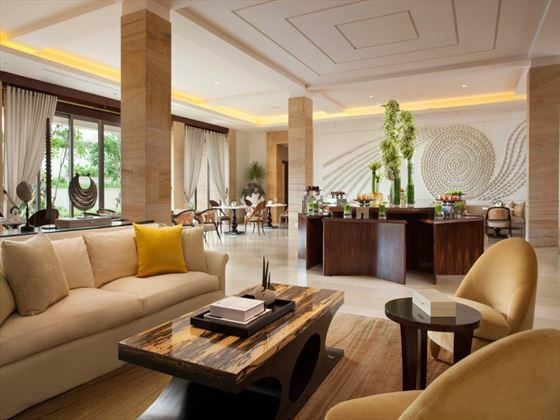 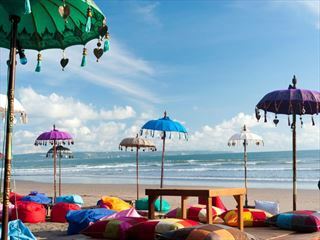 Located separately in a peaceful and private location behind the Mulia Resort but with full access to all the restaurants and facilities the Resort has to offer and with the stunning white sands and safe swimming of the beach at Nusa Dua, easily accessible. 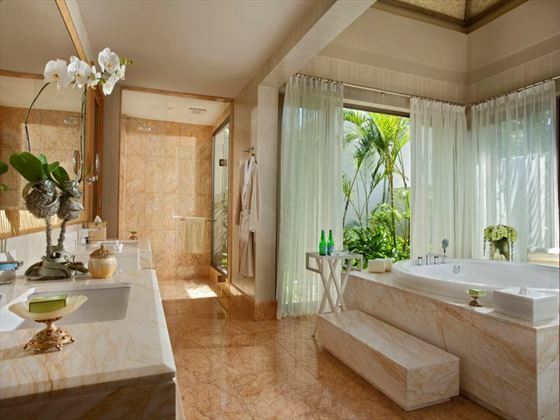 Jacuzzi bathtub, double vanity unit, high tech automatic toilet and separate indoor and outdoor shower.